A light weight cane constructed from strong aluminium shaft. Purple Derby handle with white metal collar . 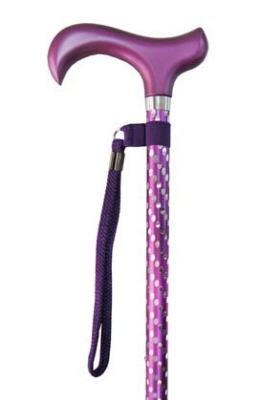 The length of the cane having silver coloured ovals inset on the purple shaft. Adjustable from 62 cm to 954 cm. The length secured with a toggle and screw lock.